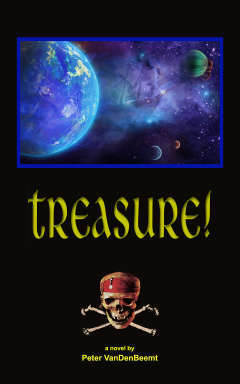 Treasure! 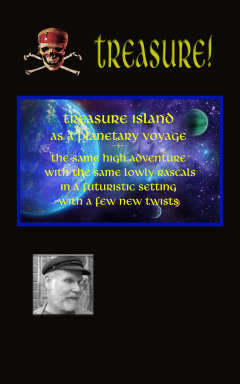 is a science-fiction version of the classic story, Treasure Island by Robert Louis Stevenson, one of the great adventure tales of all time. 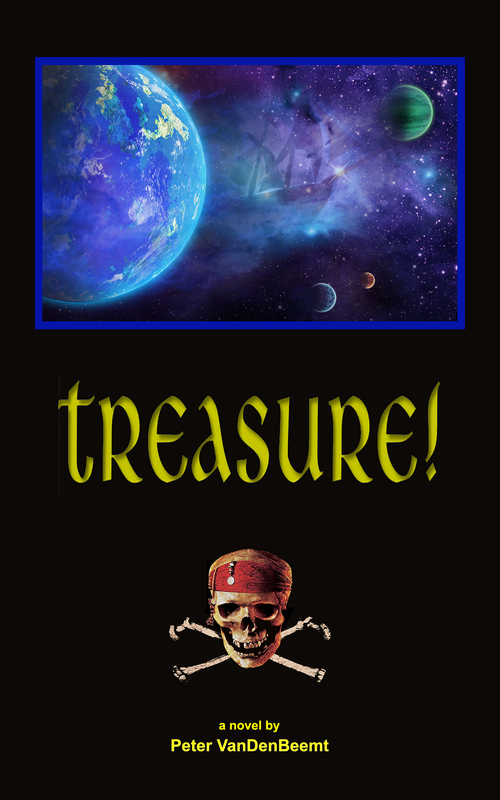 Treasure! creates a futuristic environment in which Jarret Owlin (Jim Hawkins) finds a treasure map left by an old rogue who’d sought seclusion at the Owlin family inn. The man dies after being tracked down by a pirate band and Jarret has to flee with the map to escape them. 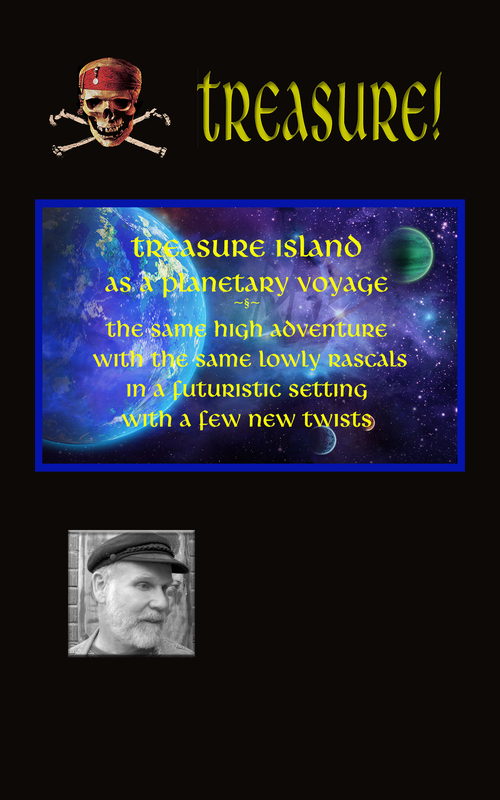 He takes it to the doctor and together with a wealthy landowner they set off on an interplanetary voyage to find the pirate gold. But they set off without realizing that the crew they’ve taken on is a pirate band led by Flash Tik Argent (Long John Silver), the very band they’d meant to escape. Stop by Amazon to "Look Inside" and read the first 50 pages. You can also read the reviews to see what others have to say. Then feel free to leave your own.